When I did my yoga training we were blessed to experience a guided meditation. It was great. Relaxing, destressing something I wish I could do more now that I have 3 kids. So I was really interested in checking out a mediation CD for the kiddo's! Mommy Moments with Abby's review of Sleep Well For Kids Under the Sea Relax at Bedtime: This is supposed to be for using at bedtime, but I used it just before nap. We had some outside play, lunch then grabbed the blankies to take a lay down imagination story time. The kids were game because it meant staying up a little longer. We each had an area and sippy's were all ready. My son was so excited, he kept asking if they would see a shark on this story time! I reminded them to quiet and listen. They all settled and listened to the story. The background music was perfect for an aquatically based story. It blended well with the melodic sounding voice that told the story. We went on a journey through the ocean and the kids just laid their and listened. They all got excited over the sighting of an octopus. I reminded them they had to listen in order to hear what else was on their trip. They giggled at the thought of the dolphins swimming around them. Over all they all laid down and were calm after getting wound up from the outside play and lunch full of kid inspired jokes. They baby was the only one who was suspicious and crawled around to check everyone out, but even he took part a few times while taking in some of his milk. Nap-time went quickly after this as they all were ready to just lay down and get to sleep after listening to this. 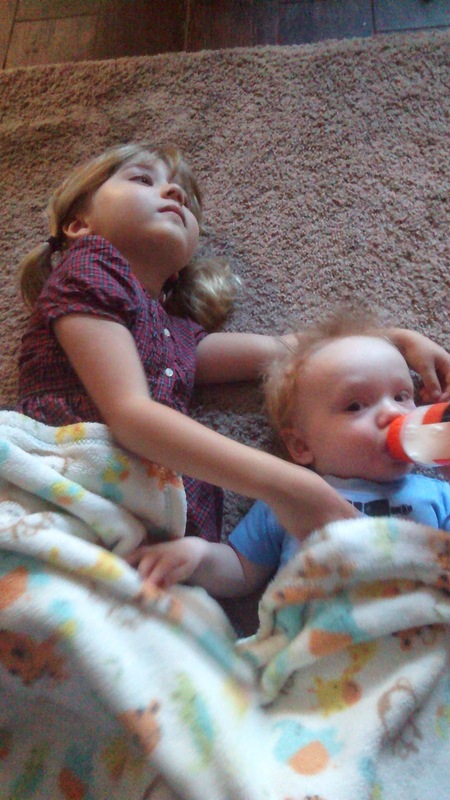 A few of the daycare kids actually fell asleep during the CD making the transition to nap-time even easier! This is great for those running a daycare! Every once and a while we end up with one of those days that just needs a little calm. This worked out great for us! Win one for yourself with this Giveaway! How about giving a good night's sleep to an entire family? 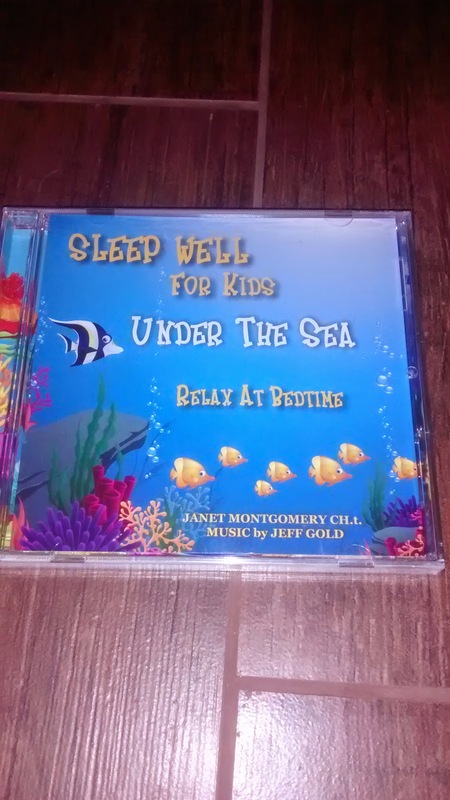 Our CD, “Sleep Well for Kids – Under the Sea” features soothing guided meditation and beautiful relaxing melodies. Together, they combine to create a calming, nurturing atmosphere that is perfect for children (and parents) who have a difficult time winding things down at bedtime. Janet Montgomery CH.t. is your guide as she takes you on a magical journey using guided imagery and visualization techniques to float you on a relaxing voyage to a special beach. You will then be guided on a leisurely tour through the tide pools before diving down under the water to play with the dolphins and learn about the abundant sea life….all the while drifting off to a deep, restorative sleep. Children are introduced to the basics of breathing techniques, progressive relaxation for their body, and visualization for managing worry and relaxing into a restful sleep. “Sleep Well for Kids: Under the Sea” is a wonderful tool for helping children to learn the essential life-skills associated with calming down and relaxing. Parents will find they will get the rest they need too!